Is it rational to believe in a god? The most famous rational argument in favour of belief was made by Blaise Pascal, but what happens if we apply modern game theory to the question? We all take for granted that mathematics can be used to describe the world, but when you think about it this fact is rather stunning. 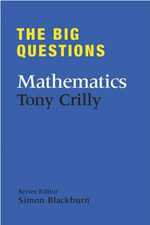 This article explores what the applicability of maths says about the various branches of mathematical philosophy. 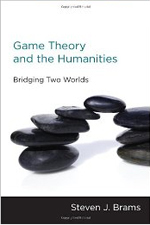 This is a fascinating book on the application of game theory to situations in philosophy, politics, law, history, literature and even the Bible. The author shows that real insight can be obtained into optimal strategies for dealing with some famous dilemmas. We often think of mathematics as a language, but does our brain process mathematical structures in the same way as it processes language? A new study published in the journal Psychological Science suggests that it does: the process of storing and reusing syntax "works across cognitive domains." If you are, then you may be one of the 5 to 7% of the population suffering from dyscalculia, the mathematical equivalent of dyslexia. But unlike many dyslexia sufferers, you probably haven't received the help you need to cope with your condition. As a recent article published in the journal Science points out, dyscalculia is the "poor relation" of dyslexia. Guilt, so some people have suggested, is what makes us nice. When we do someone a favour or choose not to exploit someone vulnerable, we do it because we fear the guilt we'd feel otherwise. A team of neuroscientists, psychologists and economists have this month produced some new results in this area, using a model from psychological game theory. We like to think of the human brain as special, but as we reported on Plus last year, it has quite a lot in common with worm brains and even with high-performance information processing systems. But how does it compare to online social networks? In a recent lecture the psychiatrist Ed Bullmore put this question to the test. Foraging ants have a hard life, embarking on long and arduous trips several times a day, until they drop dead from exhaustion. The trips are not just long, they also follow complex zig-zag paths. So how do ants manage to find their way back home? And how do they manage to do so along a straight line? Their secret lies in a little geometry. Computing is at the heart of our modern world, but what are its frontiers? This book presents new trends in this fast growing field. 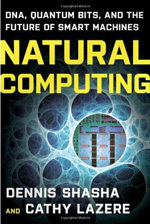 Although the topics covered range from spacecraft control to embedding intelligence in bacteria, they all coincide in one fundamental point: the future of computing is a synthesis with nature.